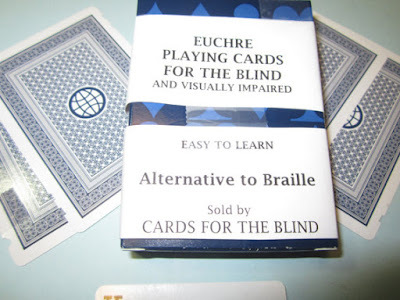 These Euchre Playing Cards for the Blind are playing cards which use a notch system as an alternative to Braille. Easy to learn! 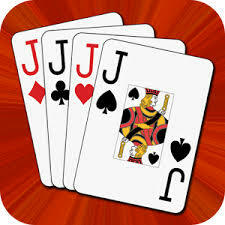 The euchre deck is made from standard playing cards which have been notched on the edges to indicate the suit and denomination of the card. The notch system is very easy to learn. Completely blind card players have been able to learn the notch system and play euchre with 10-15 minutes of instruction. 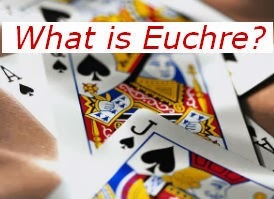 EUCHRE CARDS FOR THE BLIND is a program to enrich the lives of blind and visually impaired individuals through a simple card game. Sales of EUCHRE CARDS FOR THE BLIND will fund free distribution of cards to those who serve the blind and visually impaired community. 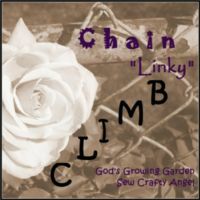 Click here for more information and to purchase.